The global launch of the Alfa Romeo 4C marks the return of the brand to the world of lightweight sports coupe, an extraordinary event awaited with growing enthusiasm by many fans scattered around the world. For them has made the exclusive ‘Launch Edition’, a numbered edition limited to 400 units in Europe with exclusive features developed especially for this unique version. Debuts in 83 Geneva International Motor Show, where orders have officially opened the new compact super car 4C limited edition ‘Launch Edition’ at a price of 62,300 euros, including tax and registration for the Spanish market. C4 Launch Edition1The ‘Launch Edition’ is expected in a few months at the beginning of the marketing 4C standard. In addition, only buyers of 4C ‘Launch Edition’ will enjoy a unique privilege may participate in an exclusive event to be held in Italy and which also includes a session of Advanced Driving with pilots-instructors professionals to learn to make the most of the potential the Alfa Romeo 4C safely. Outside, the new ‘Launch Edition’ can ‘wear’ two body styles – ‘Red Alfa’ or the exclusive matt ‘White Carrara’. Adorn line this limited edition aerodynamic kit carbon, which also highlight the style of the vehicle further reduces its weight (includes headlights, spoiler and covers the exterior mirrors), rear aluminum diff user with dark finish, headlights bi-Led and alloy wheels 18 “(front wheel) and 19” (rear wheels) with dark treatment. Also, to highlight your look sports are planned front air intakes, brake calipers an exclusive color, racing exhaust system and suspension kit with specific calibration of the shock absorbers and rear stabilizer bar. The same style is taken up in the interior which include sports seats and steering wheel, both leather and microfiber with white stitching, plus the distinctive and numbered plaque. 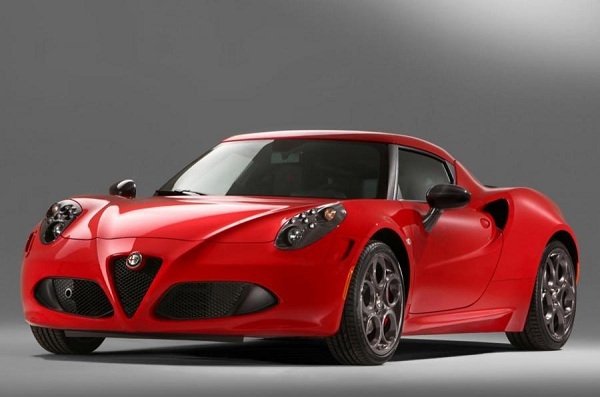 Instead, the Alfa Romeo 4C ‘Launch Edition’ with a red body features red stitching on the lining of the steering wheel and handbrake, on mats, in handcuffs and sports seats. The new 2 – seater coupe with rear – wheel drive and engine in central position designed by Alfa Romeo, Maserati produced in the Modena factory which ensures the highest quality and attention to detail to a level almost handmade. The first deliveries in Europe are planned for the second half of September 2013. 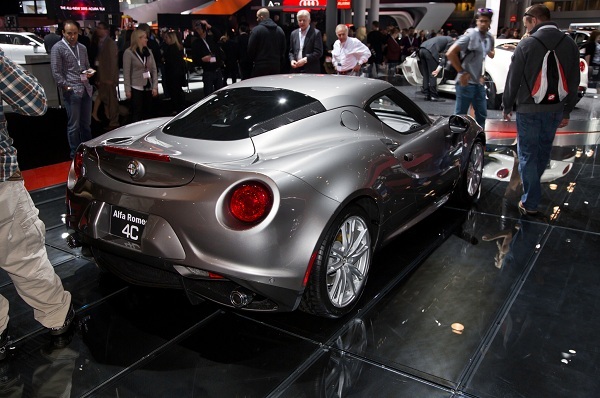 The Alfa Romeo 4C will also mark the start of global growth plan of Alfa Romeo: the version for the United States will be presented in Los Angeles in November 2013 and the first deliveries they are planned for later this year. 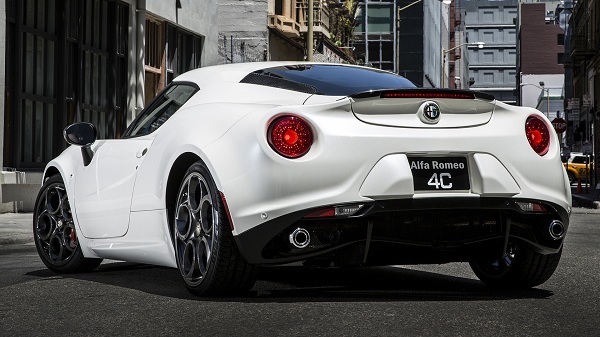 Simultaneously with the introduction in the US market, the 4C will be sold in all major global markets. 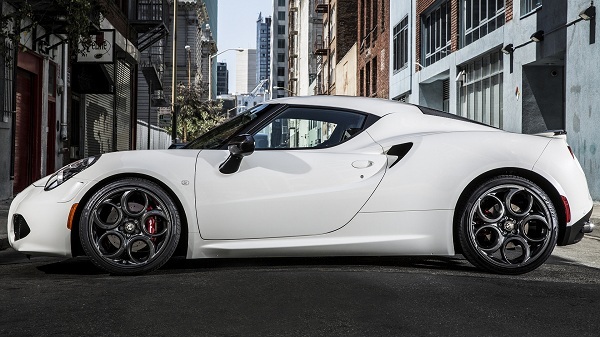 The annual availability of the Alfa Romeo 4C as a whole is limited to only 3,500 units, due to constraints related to technical and technological solutions adopted. Of these, 1,500 will be aimed at Europe, the Middle East and Africa, 1,200 in North America and 800 the rest of the world.